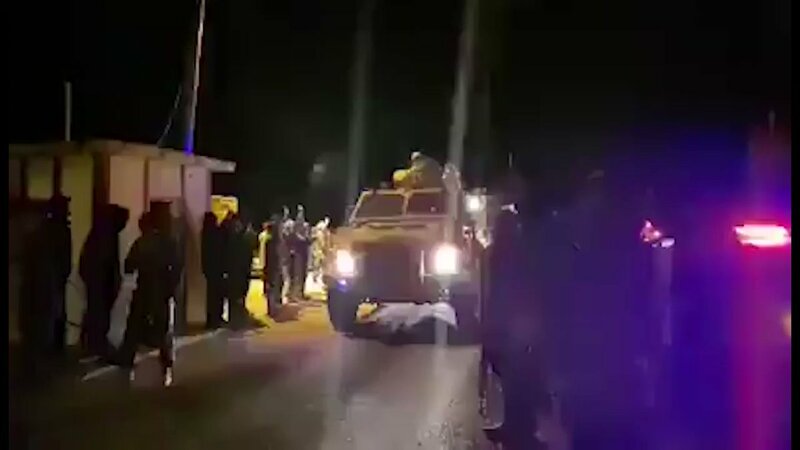 A military convoy from Misrata's Anti-Terrorism Force entered Tripoli this evening to join forces against Libyan National Army under command of Khalifa Haftar. 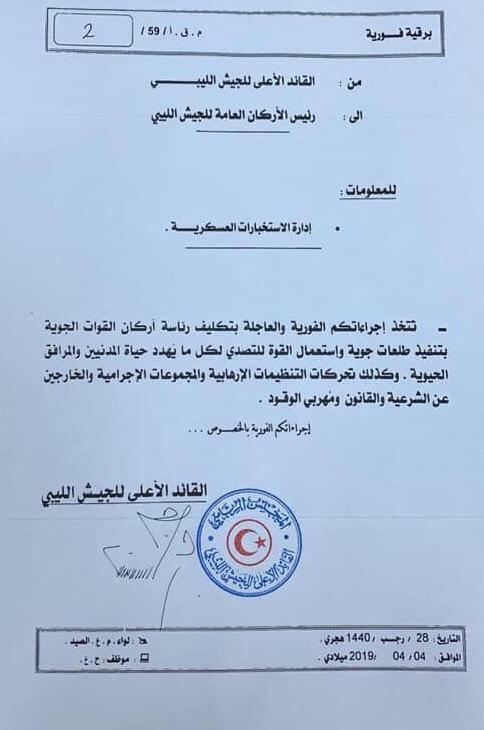 FDI party's leader MP G. Meloni explicitly accuses France of "trying to take control of Libya through takeover, giving green light to Hafter's action against Tripoli. 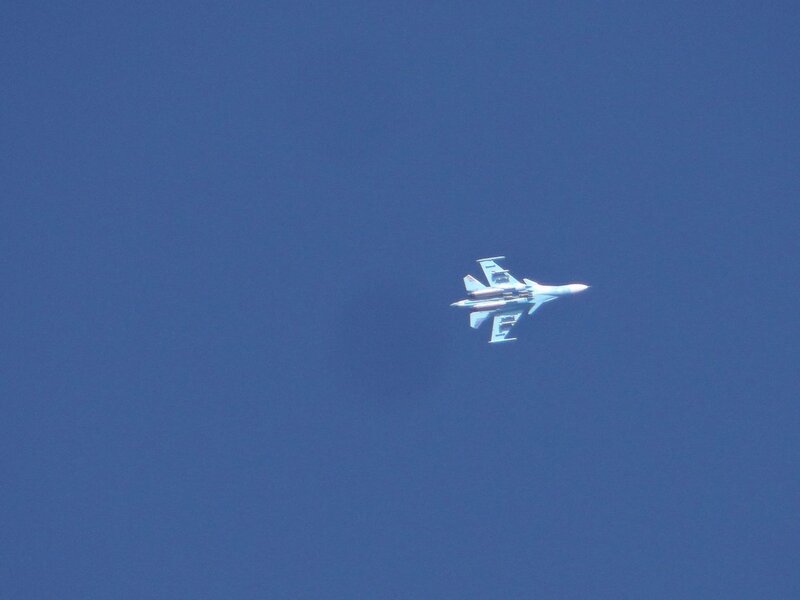 Very serious action, maybe voided by UK USA's very strong posture". 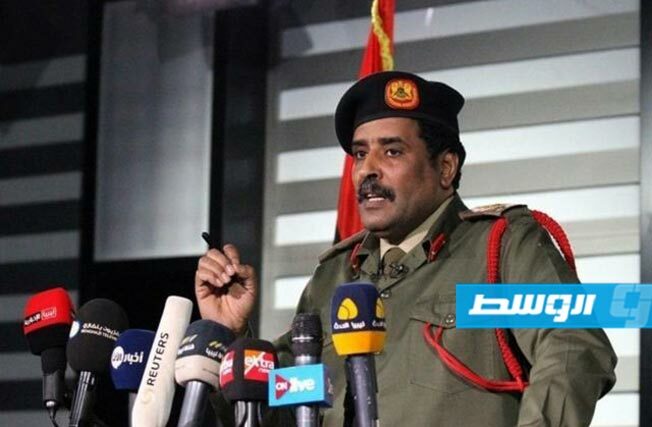 Army spokesman: We will not siege the city of Tripoli so as not to harm the local population. 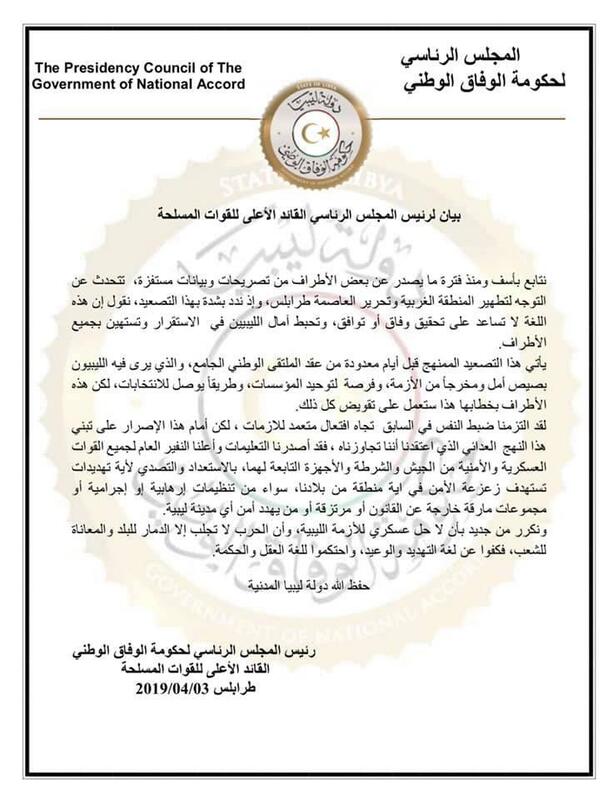 Libya's Presidency Council and Government of National Accord (PC/GNA) Interior Minister-designate, Fathi Bashagha promises that the Libyan army forces lead by Haftar will be defeated and their advances into western Libya and Tripoli will be stopped in the next 24-48 hours. 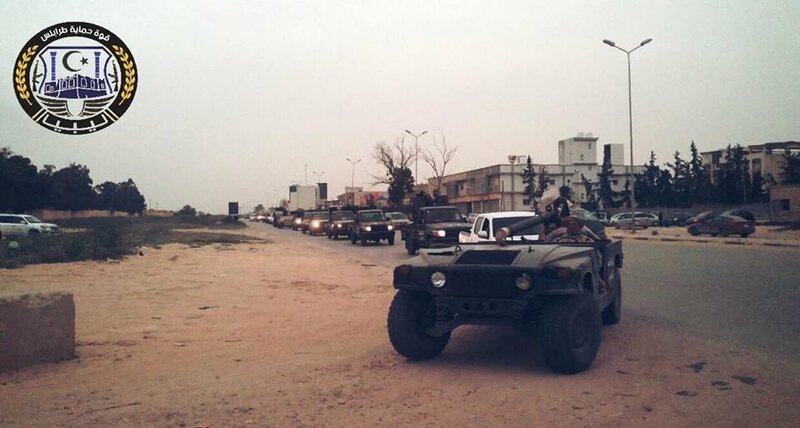 LNA Spox: Army forces reached Aziziya (41 km southwest of Tripoli). Have begun to implement the second part of the plan. 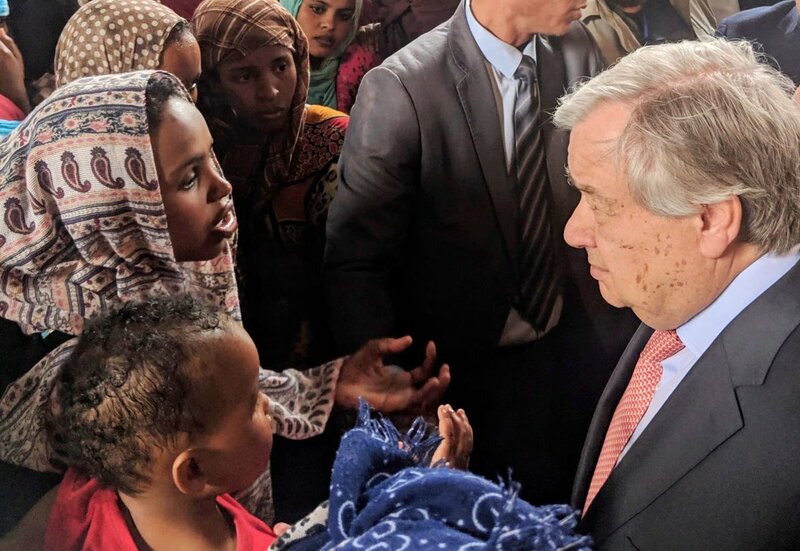 António Guterres: I am deeply shocked and moved by the suffering and despair I have seen in the detention centre in Tripoli, where migrants and refugees are in detention for unlimited time and without any hope to regain their lives. 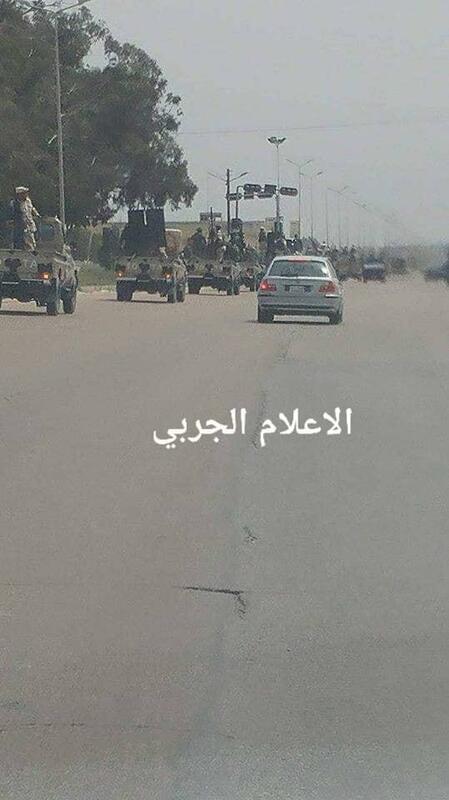 Libya - According to sources, the Infantry Brigades 106, 166 and the Tariq Ibn Ziad Brigade are reported to be moving between Gharyan and Tripoli, while the 107 Brigade reportedly reached the towns of Sorman and Sabratha. 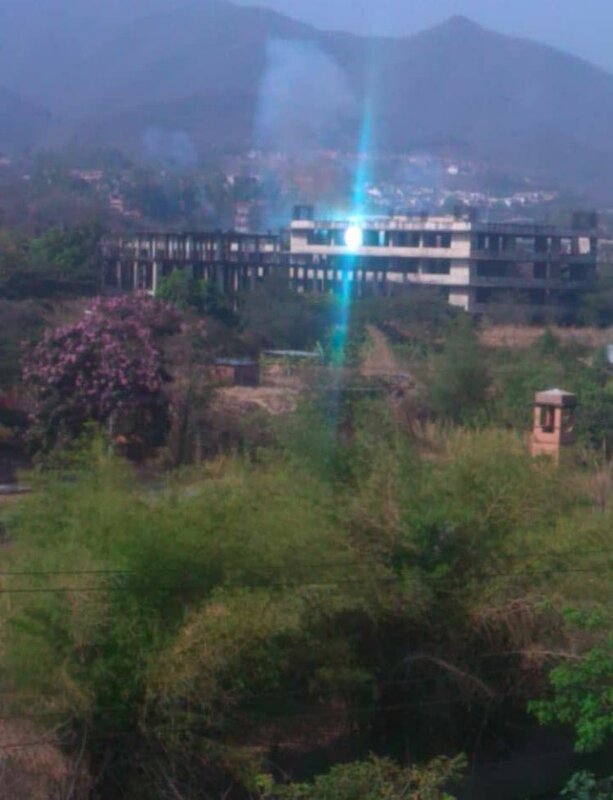 The LNA did not take control of Gheryan. Not yet. 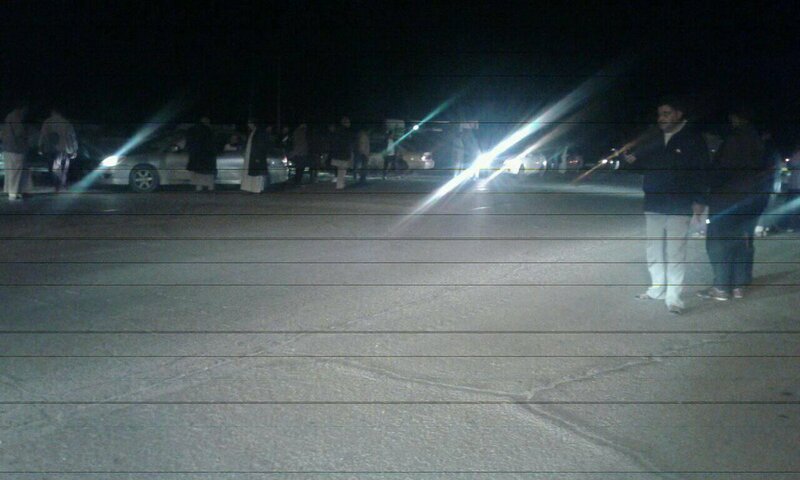 Some forces have entered parts of the city (on the outskirts). Talk of some key armed leaders joining hands with the LNA. Lots of outreach by the LNA has been happening over the months. 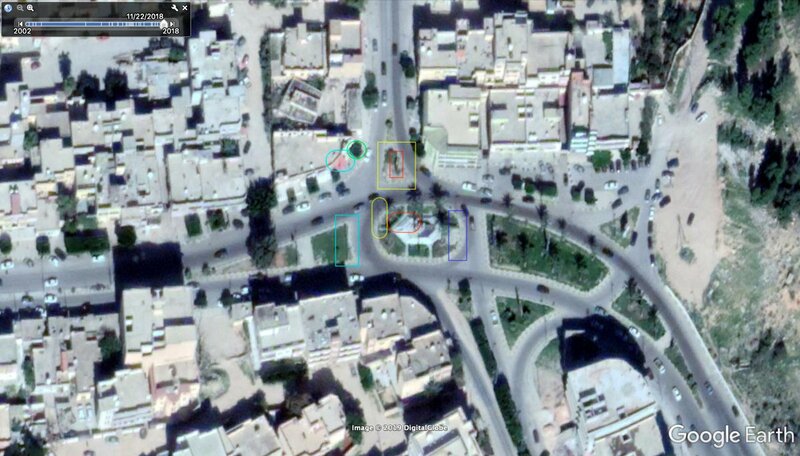 No clear position from Misrata yet. 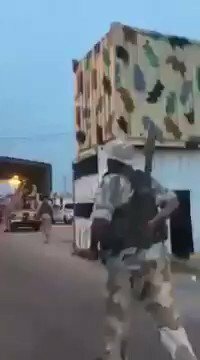 Video shows locals in Gharyan welcoming LNA forces as they arrived peacefully in the city earlier today. 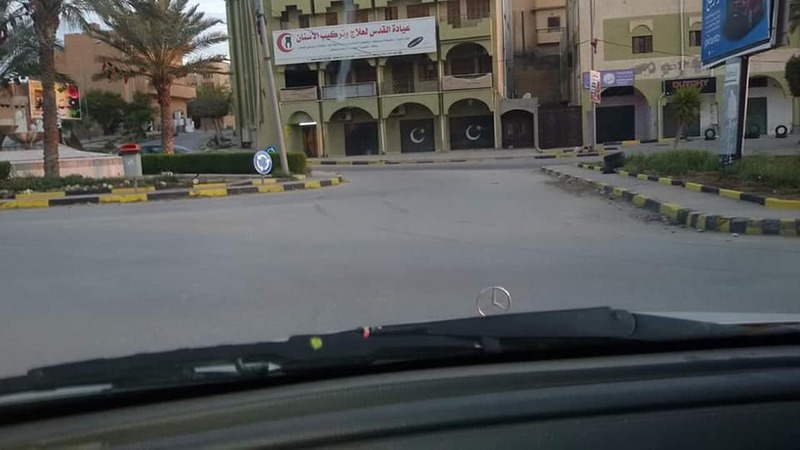 Presidential Council declares a state of emergency and mobilizes armed forces to repel the invasion of eastern Libya armed groups led by warlord Khalifa Haftar on western Libya. 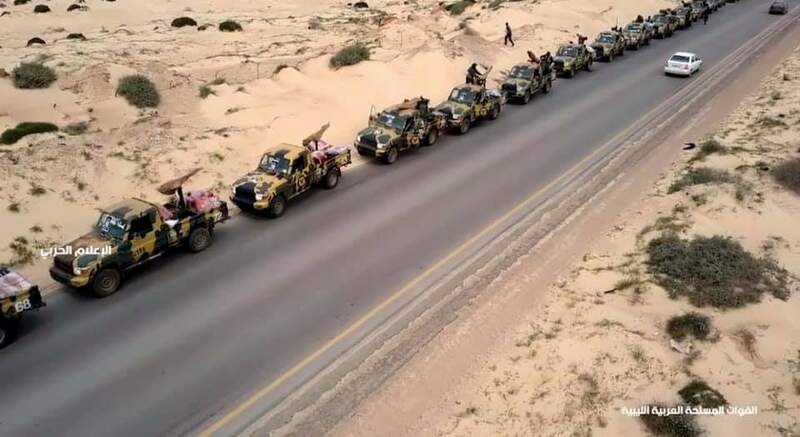 The Libyan National Army receives orders to move to the west of the country to "fight terrorists"
President Trump taps Richard Norland to serve as Ambassador to Libya. US hasn't had a Senate-confirmed envoy to the war-torn country since 2017.